The late George Burns once quipped that "happiness is having a large, loving close-knit family—in another city." The point being that we all love our families, but often in limited doses. Yet for the owners of the Paradise Ridge Winery in Kenwood, happiness is having a large, loving close-knit family around the table, preferably with some wine, and arguing about how to rebuild a family business that was largely destroyed by the October fires. Sonia Byck-Barwick is part of a family business run by her husband, her three siblings, her father and her father-in-law, and says that family meetings have been pretty tense since the fires. "We knew we wanted to rebuild," she says, "but it took a lot of work, and nothing is as easy as it would seem. 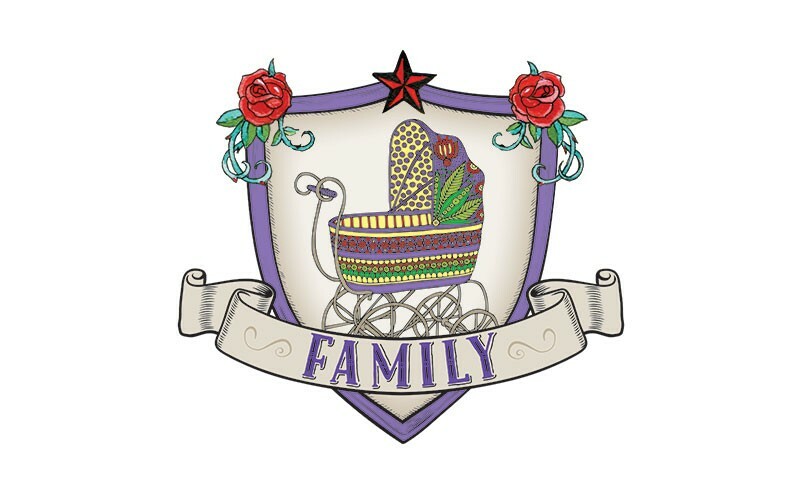 We're a very close family, but it does create a strain when you are all trying to agree on one thing." Byck-Barwick pauses and then recounts how the family's been going to restaurants and buying up bottles of Paradise Ridge wine, since most of their stock was destroyed. "Those were fun moments, because those are wines you can't get anymore. "Of course we enjoy our wines, and I think that's been a part of our healing process," she adds, while quickly noting that a supportive community has also been a critical part of the healing. But when it comes to those family meetings, she says with a laugh, "We try to keep the wine out of it until the end."—T.G. While the Tubbs fire ravaged Santa Rosa, Safari West owner Pete Lang made a choice: save his home or his animals. He chose the latter, spending a long night suppressing fires that broke out near the giraffes, cheetahs and zebras. Not even a single flamingo died, but Lang's house was lost to the flames. He first learned of the fire when his lead mechanic came up to his home, a mile away from Safari West. The sky was already orange. At the ranch, the overnight guests had to be evacuated, and then, Lang says, "I just disappeared into the dark. I couldn't leave—my responsibility was to do everything I could possibly do to keep the animals from getting hurt. One thing would have led to another. There's no question that my cheetahs and my hyenas would have burned." While the inferno raged, wreaking a path of formidable destruction that took out a neighbor's house, he used hoses, tractors and forklifts to save his animals and keep their pens from burning. In the morning, some staff returned to the ranch. "My wife didn't know if I was dead or alive," Lang says. Just recently, they began filing the plans to rebuild their home.—A.M. How many 20-year-olds do you know that can't ride a bike? Of course my dad tried to teach me, but the key word here is tried. We both got frustrated with each other pretty quickly, which led to my stubbornly refusing to ever learn how to ride a bike. You might think, "Wow, you missed out on so much during your childhood, including a key rite of passage!" I don't believe I did miss out on any major childhood experiences, or felt like I couldn't keep up with the rest of my friends—maybe because I grew up in a neighborhood where the majority of the residents were 40 or older. But I realize it's time to finally learn to ride a bike. I'm calling the Sonoma County Bike Coalition. They not only provide outlets for safe, fun bike rides of varying difficulty, but they also provide bicycle education. I'm ready to learn. bikesonoma.org.—S.S. True, the field of nominees for this category is not a crowded one, but to call 'The Count of Buena Vista Winery'—an illustrated storybook that explores "the legendary life of Agoston Haraszthy" and is playfully recommended for readers aged "9–99"—the "best children's wine book" might be a slight to author Kimberly DesJardine, who wrote Gabby the Green Grape (a wine-grape fable set in Dry Creek Valley and published in 2014) and advised the team at Buena Vista on this project. Illustrated by Bill Hart and published last year, The Count recounts the tale of the tireless if somewhat star-crossed Hungarian who founded the winery in 1857 in Sonoma, with stops in Wisconsin, Burgundy and San Francisco. The book introduces readers to terms like "viticulture," "agricultural corporation" and the joys of both winemaking and rum production—with a brief shout out to firearms regulation, thanks to the count's stint as sheriff in San Diego. 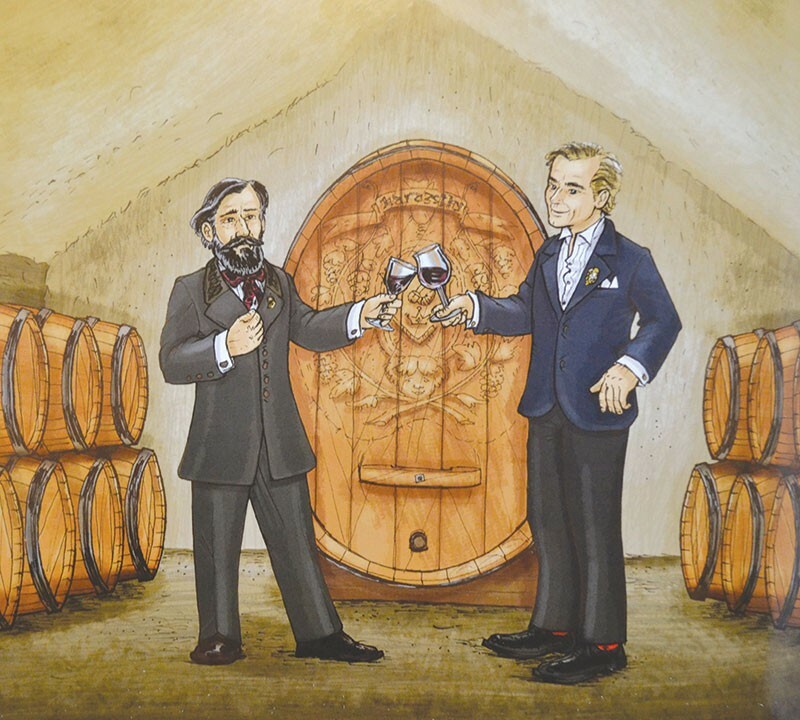 All's well that ends well when the spirit of Haraszthy (portrayed in real life at the winery and on the road by Sonoma character actor George Webber) joins Jean-Charles Boisset in a toast to the French wine impresario's long-dreamt-of restoration of the historic property as a wine tourism destination. Spoiler alerts: While Gabby the grape escapes a fate worse than Pinot Grigio, the count ends up over his head in murky waters—most likely the high point for action-hungry young readers. You might be reading to a wine connoisseurs-to-be if they ask, "Can you read again the part about Clos Vougeot?" buenavistawinery.com.—J.K.